in order to increase profitability for our clients. TCI Cutting’s objective is always to provide the best solution to manage new industrial scenarios: we offer engineering expertise and experience with efficiency and productivity in mind. 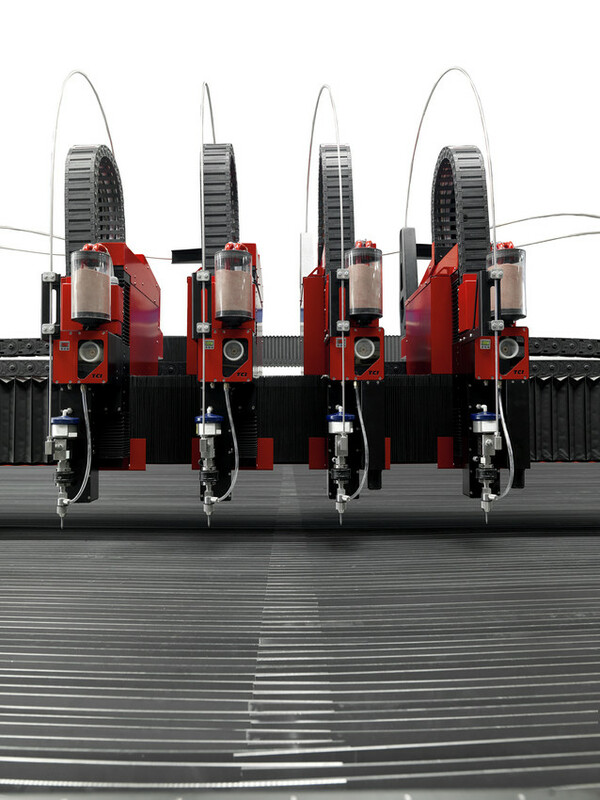 We manufacture waterjet cutting machines and laser cutting machines using the most advanced technology in order to increase profitability for our clients. At TCI Cutting we know that the best product is the result of a combination of both technology and service. One of TCI Cutting’s secrets is our committed and highly trained team of technicians whose mission is to seek excellence by working together: engineers, mechanics, physicists, IT experts, analysts, etc. All these professionals have a common goal: to make products with a long life-span which will completely meet all the cutting requirements of our clients. Constant innovation, not only in the development of new products, but also in the creation of market leaders: such as the 5 axle cutting head used in water jet cutting machines, a solution which enables three dimensional high pressure water jet cutting; this technique has opened new doors in mechanization which was previously not possible in water jet cutting machines.